Lawrence Nomanyag­bon Anini, Nigeria’s most notorious armed robber, was born sometime in 1960. He terrorised the old Bendel State, especially its capital, Benin City in the 1980s. By 1986, his robbery exploits had reached such a terrible level that it became a national issue. He operated along with his lieutenant, Monday Osunbor, and others. However, one striking feature in the Anini reign of terror was police complicity. It was soon discovered that the Anini gang had insiders within the Police hierarchy George Iyamu, a Deputy Superintendent of Police, was their arrowhead. Anini, dreadfully called ‘The Law’ or ‘Ovbigbo’, was born in a village about 20 miles from Be­nin City. He migrated to Benin at an early age, learned to drive and became a skilled taxi driver within a few years. He became known in Benin motor parks as a man who could control the varied competing interests among motor park touts and operators. He later took to criminal acts in the city and soon became a driver and transporter for gangs, criminal godfathers and thieves. Soon after, he decided to create his own gang. They started out as car hijackers, bus robbers and bank thieves. Gradually, he extended his criminal acts to other towns and cities far north and east of Benin. The complicity of the police is believed to have enhanced Anini’s reign of terror in 1986. Early that year, two members of his gang were prosecuted over an earlier under-the-table ‘agree­ment’ with the Police to destroy evidence against the gang members. The incident, and Anini’s view of Police betrayal, is believed to have spurred retaliatory actions by Anini. In August, 1986, a bank robbery linked to Anini was reported in which a police officer and others were killed. That same month, two officers on duty were shot at a barricade while trying to stop Anini’s car. During a span of three months, he was known to have killed nine police officers. 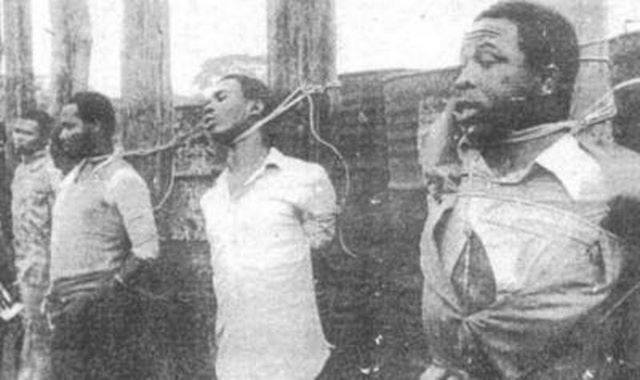 In an operation in August of 1986, the Anini team struck at First Bank, Sabongida-Ora, where they carted away N2, 000. But although the amount sto­len was seen as chicken feed, they left the scene with a trail of blood. Many persons were killed. On September 6, same year, the Anini gang snatched a Peu­geot 504 car from Albert Otoe, the driver of an Assistant Inspector General of Police, Christopher Omeben. In snatching the car, they killed the driver and went to hide his corpse somewhere. It was not until three months later that the skeleton of the driver was spotted 16 kilometers away from Benin, along the Benin-Ag­bor highway. A day after this at­tack, Anini, operating in a Passat car believed to have been stolen, also effected the snatching of another Peugeot 504 car near the former FEDECO office, in Benin.Two days after, Anini’s men killed two policemen in Orhio­won Local Government of the state. Still in that month, three different robbery attacks, all pointing to Anini’s involvement, took place. 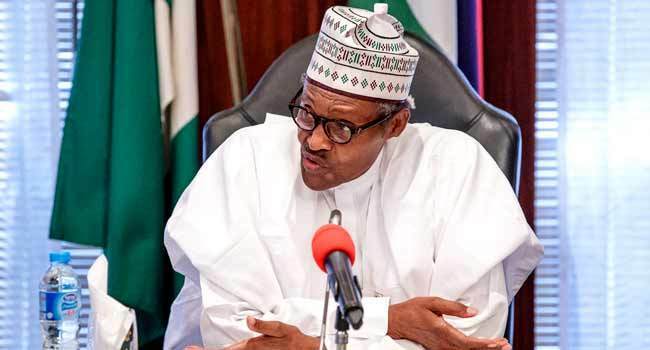 They include the murder of Frank Unoarumi, a former employee of the Nigerian Observer newspapers; the killing of Mrs. Remi Sobanjo, a chartered accountant, and the stealing of the Mercedes Benz car in Benin, of the Ughelli monarch, the Ovie. Finally, it took the courage of Superintendent of Police, Kayode Uanreroro to bring the Anini reign of terror to an end. On December 3, 1986, Uanreroro caught Anini at No 26, Oyem­wosa Street, opposite Iguodala Primary School, Benin City, in company with six women. Acting on a tip-off from the locals, the policeman went straight to the house where Anini was hiding and apprehended him with very little resistance. Uanreroro led a crack 10-man team to the house, knocked on the door of the room, and Anini himself, clad in under­pants, opened the door. “Where is Anini,” the police officer quickly enquired. Dazed as he was caught off guard and having no escape route, Anini all the same tried to be smart. “Oh, Anini is under the bed in the inner room”. As he said it, he made some moves to walk past Uanreroro and his team. In the process, he shoved and head-butted the police officer but it was an exercise in futility. Uanreroro promptly reached for his gun, stepped hard on An­ini’s right toes and shot at his left ankle. 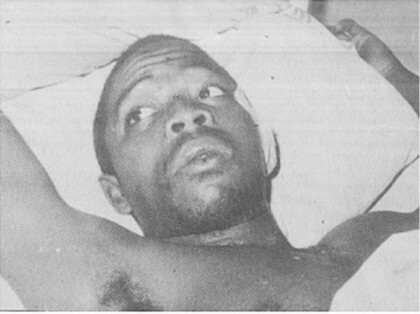 Anini surged forward but the policemen took hold of him and put him in a sitting position. He was from there taken to the police command headquarters where the state’s Police Commissioner, Parry Osayande, was waiting. While in the police net, Anini who had poor command of English and could only communicate in pid­gin, made a whole lot of revelations. He disclosed, for instance that Osunbor, who had been arrested earlier, was his deputy, saying that Osunbor actually shot and wounded the former po­lice boss of the state, Akagbosu. Anini was shot in the leg, transferred to a military hospi­tal, and had one of his legs am­putated. When Anini’s hideout was searched, police recovered assorted charms, including the one he usually wore around his waist during “operations”. It was instructive that after Anini was captured and dispossessed of his charms, the man who terrorized a whole state and who was supposed to be fearless suddenly became remorseful, making confessions. This was against public expectation of a daredevil hood­lum who would remain defiant to the very end. Shortly after the arrest of Anini and co, the dare-devil rob­bers began to revealthe roles played by key police officers and men, in the aiding and abetting of criminals in Bendel State and the entire country. Anini particularly revealed that Iyamu, who was the most senior police offi­cer shielding the robbers, would reveal police secrets to them and then, give them logistical supports such as arms, to carry out robbery operations. He further revealed that Iyamu, after each operation, would join them in sharing the loot. Due to the amputation of his leg, Anini was confined to a wheelchair throughout his trial. Iyamu, on his part, denied ever knowing and collaborating with Anini, but Anini The Law furi­ously retorted, “You are a shameless liar!” Anini had accused him before Justice James Omo-Agege in the High Court of Justice in Benin City. Of the 10 police offi­cers Anini implicated, five were convicted. The robbery suspects, including Iyamu, were sentenced to death. But in passing his judgement, Justice Omo-Agege remarked, “Anini will forever be remembered in the history of crime in this country, but it would be of unblessed memory. Few people if ever, would give the name to their children.” Their execution took place on March 29, 1987. A feature story is usually one that is of human and public interest.The story of Anini the notorious armed robber who terrorised the lives of the people of Benin city, gives a detailed account of who he is and his escapades as a robber. This feature writing exhibits traces of characteristics of a well written feature story, as it is drawn out from an already existing story, it is balanced and factual also and its also one that is of concern and interest to the public. …and he was never viewed as christian!